NSW have a narrow lead in the Jockeys Origin series after a win and a third at Doomben. 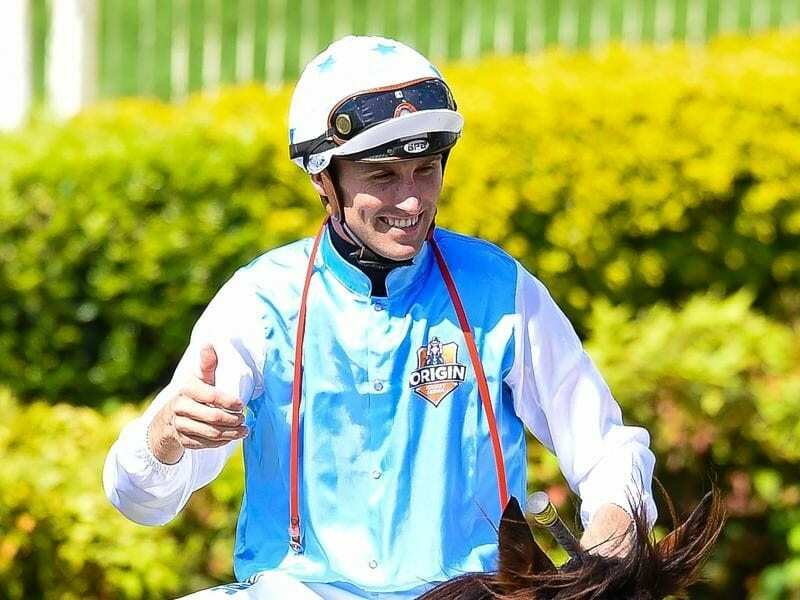 NSW will take a narrow lead into the final day of the Jockeys Origin series after scoring a win and a third on the second day of the series at Doomben. New Zealand were the leaders after the first day when Damian Browne won a heat and finished second in the other. The Kiwis went into the second day leading Victoria who had a winner and a third on the first day by a point. But NSW made a move when Tye Angland drove Realing ($4) to a win over Chamalu ($2.30), ridden by the All Stars Robbie Fradd, in the fourth race on Saturday. South Australia picked up two more points when Jamie Kah was third on Sharp Speedo. Trainer Matt Dunn has always had an opinion of Realing who had been racing in Sydney. “I might aim him to the QTIS Magic Millions race which I won last year (with Madotti),” he said. Craig Newitt then struck for Tasmania in the sixth with a clever ride to win on Singing ($10), who beat Kirini ($9) for Fradd and the All Stars, with Sheza Lily and NSW’s Michael Rodd third. “I was able to get a break on them on the corner and he’s a good stayer,” Newitt said. The series is being run over three days at Doomben (two days) and finally at Caloundra on Sunday with seven teams from five states, New Zealand and an All Stars team. Pints are allocated for the first three runners and then a point for each unplaced jockey. Leading points after four Origin heats: NSW (15),New Zealand (14) 1, NSW Victoria (13), All Stars (12) Tasmania (12), South Australia (10) and Queensland (8).